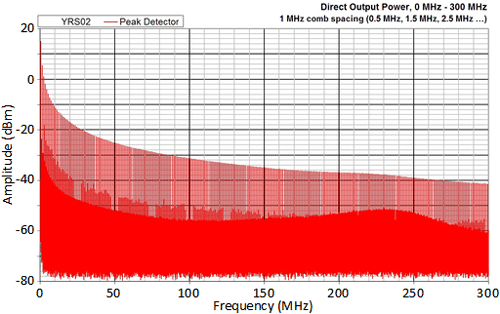 The YRS01 is a multi-mode reference source capable of producing a broadband noise or comb output up to 1GHz. 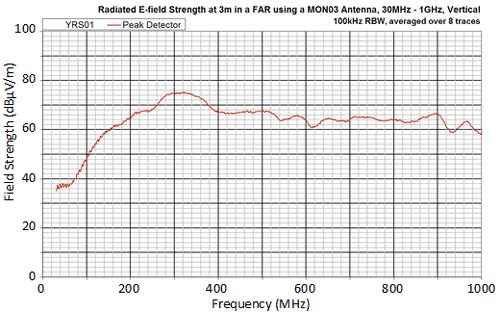 For radiated operation two monopole antennas, optimised for different frequency bands, are available which attach to the top of the unit. The YRS01 is an ideal source for carrying out checks on open area test sites (OATS) and anechoic chambers. 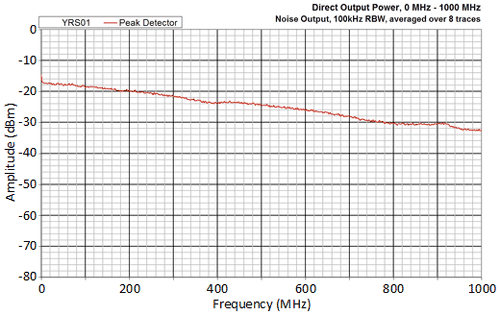 The YRS01 is compact and battery powered, allowing operation as an electrically small source, which minimises the effect of the YRS01 itself when characterising the electromagnetic environment. The YRS01 is housed in a metal enclosure so that it can be mounted in direct contact with a metal ground plane as may be required by some tests. 5V 2AHr battery pack (Order code BP01). Radiated Output 30 MHz to 1 GHz horizontal and vertical polarization electric field strength on OATS using receiver, either 3 m or 10 m test distance. 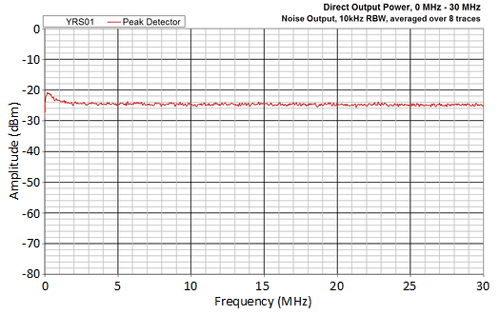 Results for noise, 1 MHz and 5 MHz comb modes. 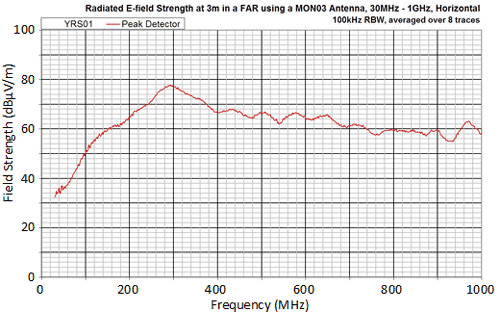 Radiated Output 30 MHz to 1 GHz horizontal and vertical polarization electric field strength in FAR using spectrum analyzer at 3 m test distance. 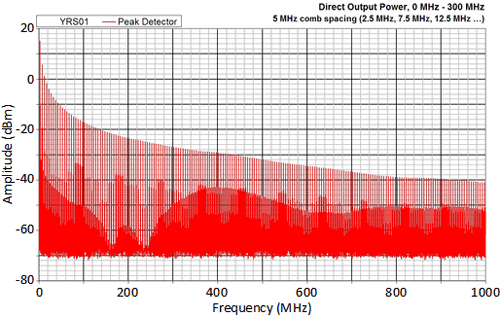 Results for noise, 1 MHz and 5 MHz comb modes. 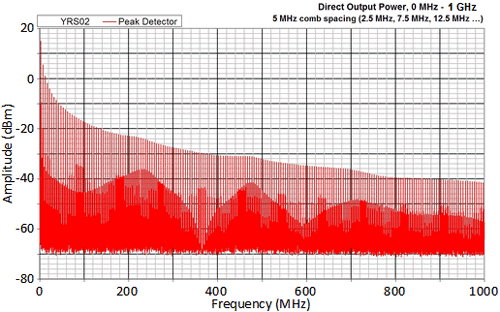 The YRS02 is a multi-mode reference source capable of producing a broadband noise or comb output up to 1GHz. 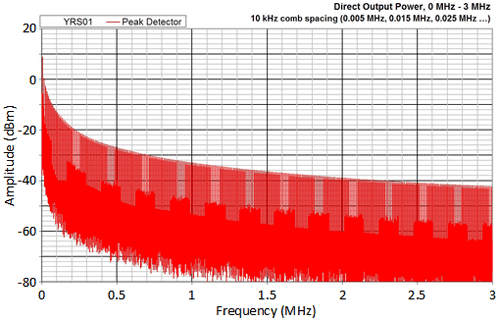 The YRS02 is a broadband noise and comb source that is capable of producing a continuous noise output from 9 kHz to 1 GHz, or a comb of frequencies within the 5 kHz to 1 GHz range, with step size being selected by the user. 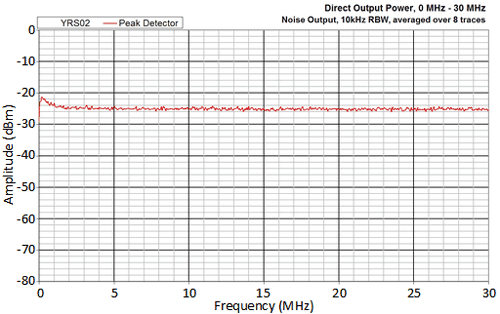 The noise generator enables observation of details over the full spectral range, while the comb generator allows for the reference signal output and noise floor to be viewed simultaneously. 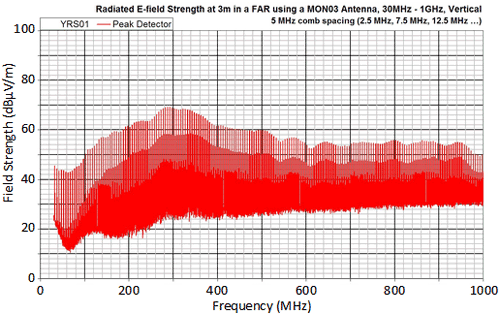 For radiated operation two monopole antennas, optimized for different frequency bands, are available which attach to the top of the unit. 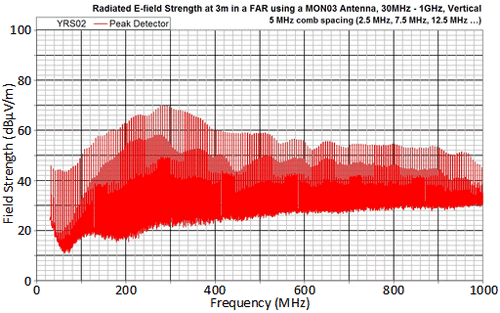 The YRS02 is an ideal source for carrying out checks on open area test sites (OATS) and anechoic chambers. The YRS02 is compact and battery powered, allowing operation as an electrically small source, which minimizes the effect of the YRS02 itself when characterizing the electromagnetic environment. The YRS02 is housed in a metal enclosure so that it can be mounted in direct contact with a metal ground plane as may be required by some tests. 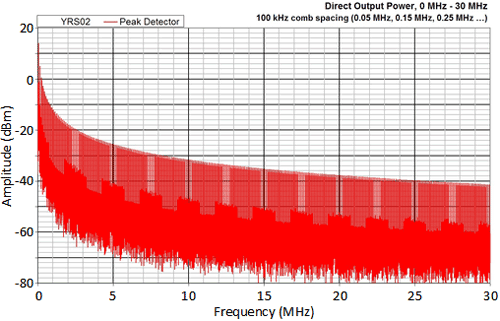 The LSA03 provides a capacitive link from the output of the YRS02 to a standard IEC 320 mains power connector. 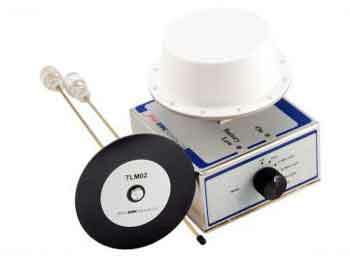 This allows checks and investigations on conducted measurement systems to be made, for example using a LISN or an absorbing clamp. The York Reference Source (YRS03) is a multi-mode, broadband noise and comb source that is capable of producing a continuous noise output or a comb of frequencies within the 10 MHz to 6 GHz range, with the step size being selected by the user. 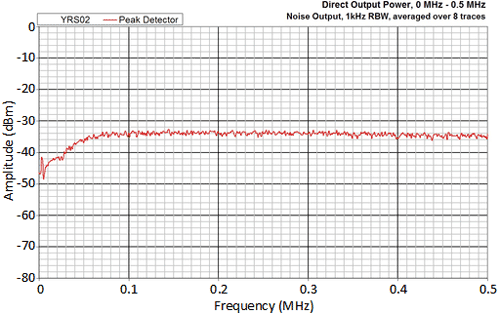 This noise generator enables observation of details over the full spectral range, while the comb generator allows for the reference signal output and noise floor to be viewed simultaneously, and the frequency accuracy of measurement of equipment to be checked. 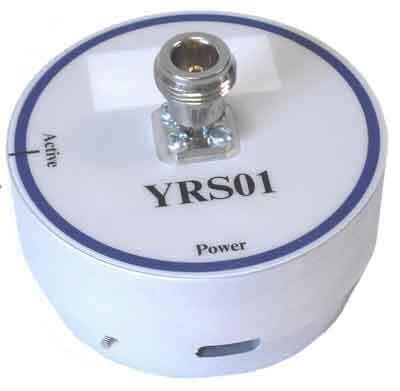 The YRS03 is a compact and battery powered, allowing operation as an electrically small source, which minimises the effect of the YRS03 itself when characterising the electromagnetic environment. The YRS03 is housed in a metal enclosure so that it can be mounted in direct contact with a metal ground plane as may be required by some tests. 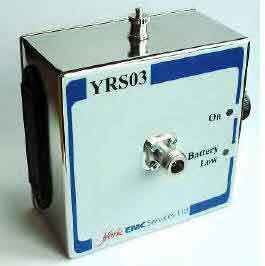 The YRS03 is supplied with a 50 Ω N-type output connector for direct connection to conducted measurement systems. 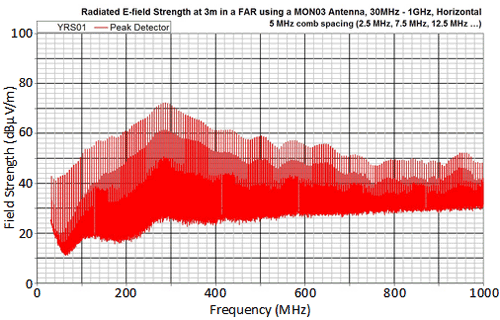 For radiated operation, antennas can be attached to the unit’s output connector. 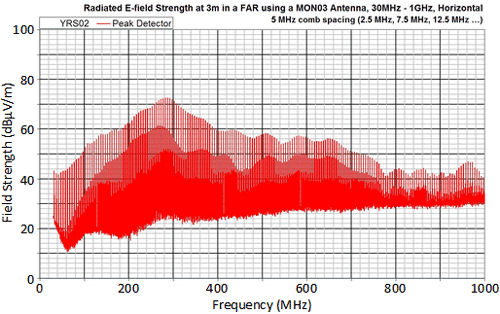 Three antennas, one monocone and two monopole optimised for different frequency bands, are available. 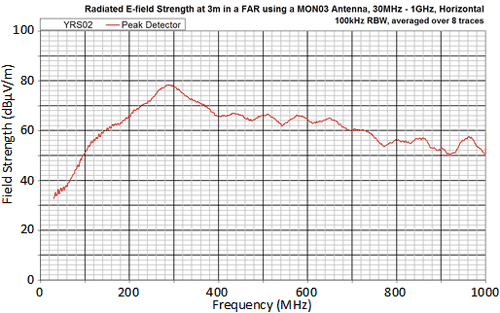 The YRS03 is an ideal source for carrying out checks on Open Area Test Sites (OATS) and fully- or semi-anechoic chambers.